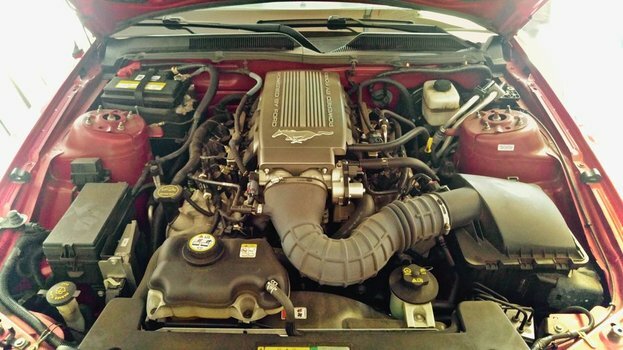 Learn how to change the oil on your 2005-2009 Ford Mustang GT (S197) with a 4.6L 24 valve SOHC V8 engine. 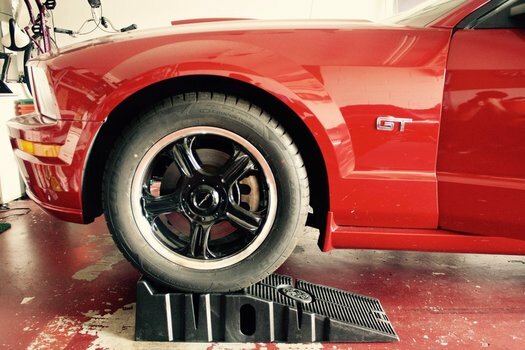 We've got a step by step how to with all the parts, tools, torque settings, and tips you'll need. Ford's suggested oil change interval is 7500-5000 miles depending on usage. Large Oil Filter Wrench - the oem oil filter is quite wide. Lift the front of the vehicle. 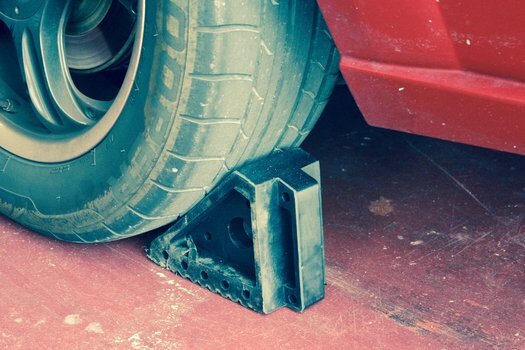 We drove ours onto a set of Rhino Ramps, but you can use a jack and jack stands just as easily. The lift points are located on the sides of the car just behind the front wheels. There are notches in the pinch welds indicating where to jack from. Be careful and safe! Note, the oil will flow out several inches in an arc away from the pan, so make sure you compensate when placing your drain pan. Grab some paper towels before you start. Remove the 14mm oil drain plug. Some model years or replacement plugs may be 16mm. Drain all the oil out of the engine. 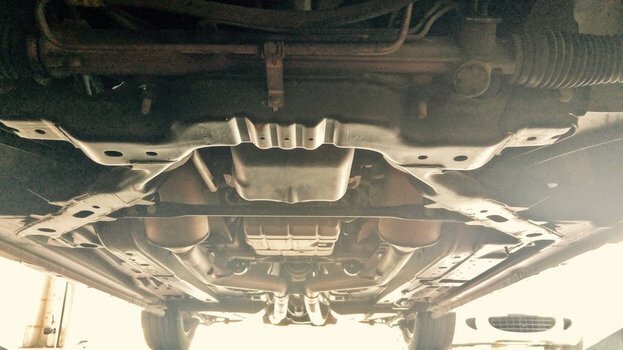 Clean the oil pan plug with a fresh paper towel or rag. Dirt can damage the threads and sealing surfaces. Keep it clean and it'll be easy to change for the life of the car. The oem plug has an o-ring seal built into it. If the seal or drain plug look worn or are leaking, replace them with a new one. 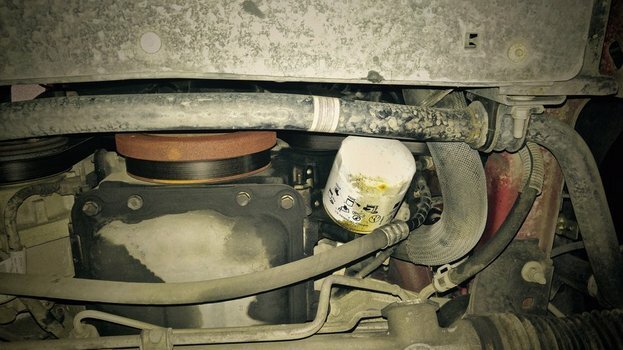 Move your drain pan under the oil filter. 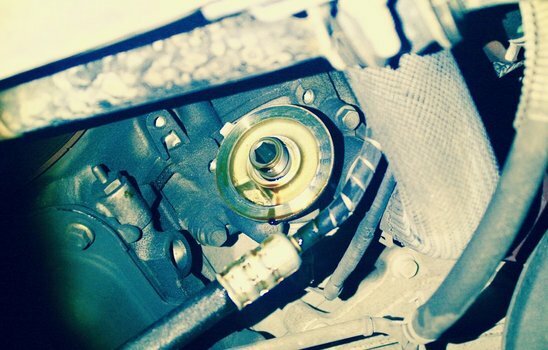 Remove the oil filter using your oil filter wrench. The filter is at an angle, so it will drain out the side and sort of get everywhere. Wipe the oil filter gasket surface clean with a rag or paper towel. 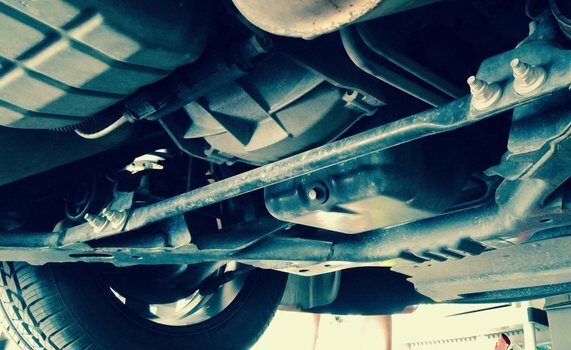 Make sure there's no dirt or gaskets stuck to the metal surface. Screw the new filter on, tightening it per the instructions on the box. Mobil 1 filter instructions say to seat the gasket, then tighten a 3/4 turn. Using your funnel, refill the oil. The 4.6L Modular V8 takes approximately 6 quarts. 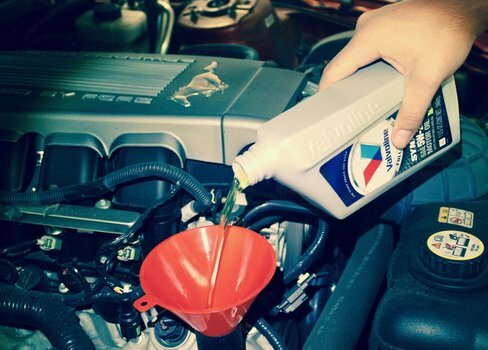 Check the oil level by removing the dip stick, wiping it dry, and re-inserting it.